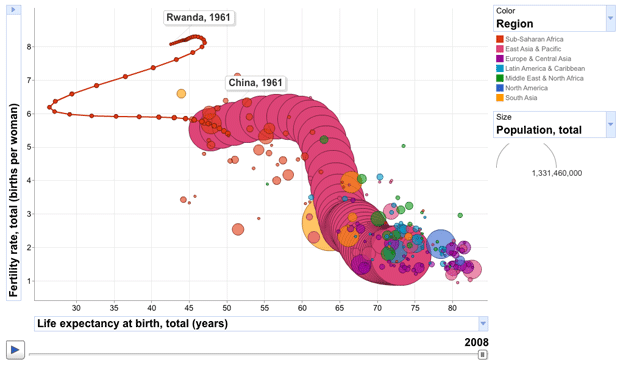 Stumbled across this interesting interactive work of Ben Fry’s – a great example of visualizing large amounts of data in a cohesive way. 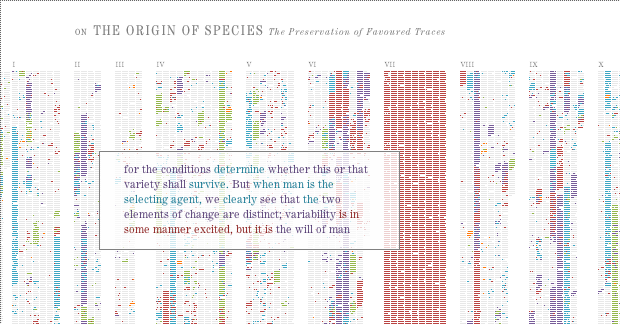 He has visually shown all the changes made by Charles Darwin to his classic On the Origin of Species over six different editions. The book went from 150,000 words to 190,000 by the sixth edition, with some interesting edits along the way (including a significant addition to the closing paragraph). I think what I like most about it is the clear illustration of how the scientific process can lead to continual learning and refinement of ideas. Keep your mind open. Take a look.